Meals on Wheels is a popular service for seniors who need food delivered to them, but they need more volunteers to help out. 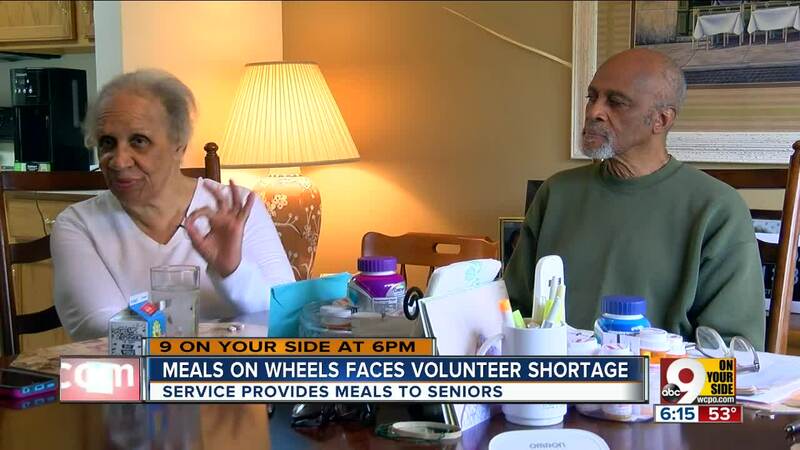 SPRINGDALE, Ohio -- People who rely on Meals on Wheels wouldn't be able to receive their meals if it weren't for volunteers like James Shockley. "I like helping the people and the feeling that you get from seeing them smile when you leave and you get there and they know you're coming," he said. 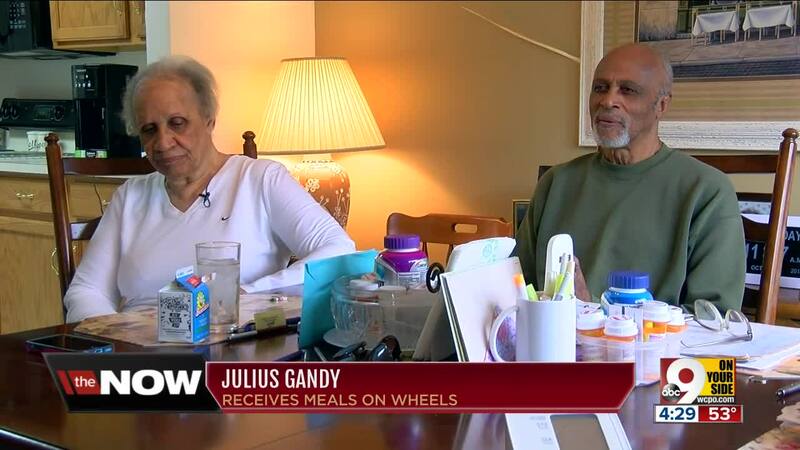 Meals on Wheels is a popular service for seniors who need food delivered to them. But the group is not popular enough when it comes to volunteers and drivers. They have a desperate need for more volunteers right now. That's why Maple Knoll Outreach Services for Seniors is asking for help. "Each fall and winter, we see more and more people reach out to us who need assistance," Megan Ulrich, a Maple Knoll spokeswoman, said. "We're only able to add to that number if there are volunteers that are willing to help us." People who rely on the service, like Julius Gandy, said they were thankful for it. "It comes a time in everybody's lives where things just change for you," Gandy said. "I was retired, we had illness in the family, enough illness that we needed some help." Right now, they have 50 volunteers. They hope to get 15 or more additional volunteers in the next few weeks. "Without volunteers, we're left in the dark," Ulrich said. Eight out of 10 low-income, food-insecure seniors do not receive home-delivered meals they could be getting, according to Maple Knoll. Ulrich said they provided meals for more than 450 people last year, including 350 people any given week. "Some of them don't have family that come to see them," Shockley said. To volunteer, e-mail coordinator Greg Fielder at gfielder@mkcommunities.org or call 686-1010.